Buyer beware is good advice to consumers in general, but especially when purchasing items online from an individual or company you know little about. The Counterfeit Report, a consumer watchdog that focuses on knock-off products, has warned that many counterfeit microSDHC memory cards are showing up on eBay, posing a threat to unsuspecting consumers. The group says it purchased 175 counterfeit microSDHC cards from sellers on eBay. It says all the cards were tested and held only a fraction of their stated capacity. When the counterfeit memory cards reach their actual capacity, they overwrite and erase existing data. For its part, eBay has clear rules against selling counterfeit items. If the item bears a logo company logo, the seller must have permission from the company to sell it. But The Counterfeit Report maintains knock-offs are finding their way to eBay, requiring consumers to be extra careful. And in the case of the counterfeit memory cards, it says determining the fake from the real thing is often difficult. The micro SD trademark is owned by SD-3C, LLC, which licenses it only to authentic conforming products. Meanwhile, The Counterfeit Report called on eBay to notify buyers when they may have purchased a counterfeit product. 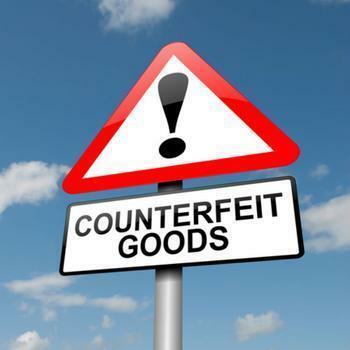 Consumers who think they may have purchased a counterfeit product on eBay should notify the company at (866) 540-3229. Consumers may also open a refund claim under eBay's "Money Back Guarantee."